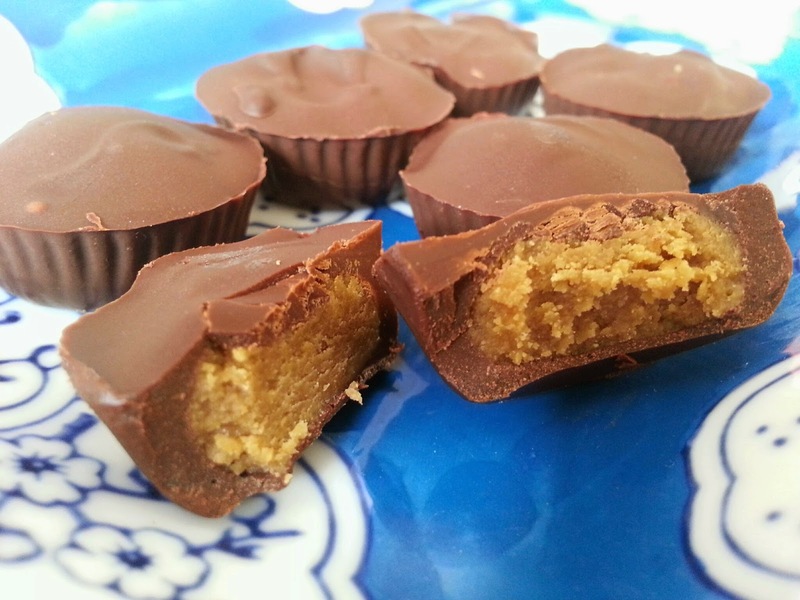 I've been wanting to make peanut free and dairy free Reese's Peanut Butter Cups for awhile now. I've had the candy molds sitting in the deep dark depths of my kitchen cabinets for about a year! 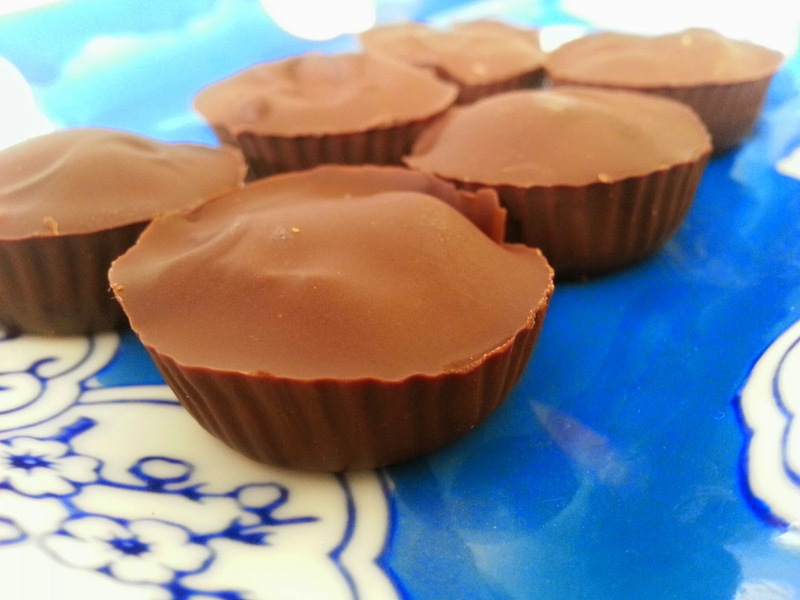 In preparation for Halloween festivities, I thought I'd try out a recipe for Sunbutter Chocolate Cups. Let me tell you, they are DIVINE. The Hubs and I both think they taste just like Reese's Peanut Butter Cups. 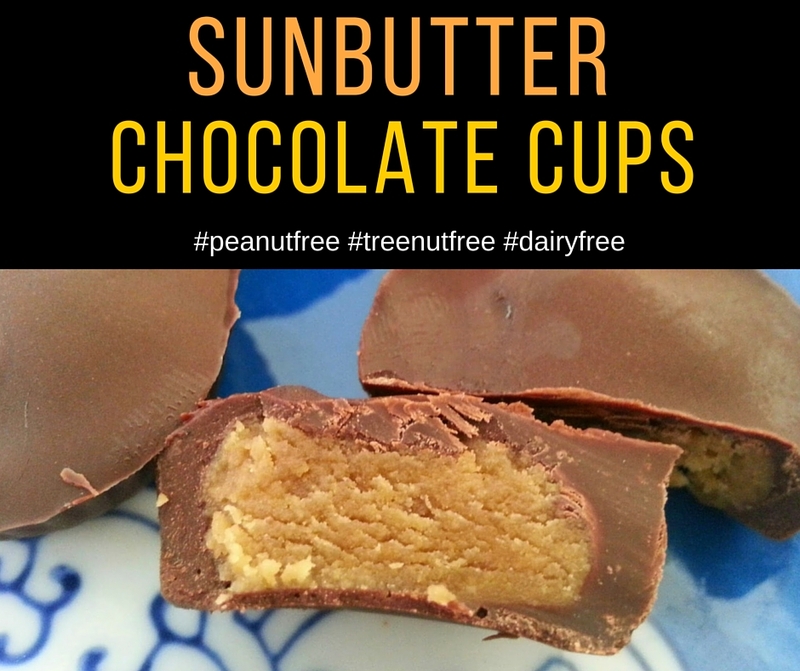 At FABlogCon (Food Allergy Bloggers Conference), SunCups said they are working on a dairy free version of their tasty nut free sunbutter filled chocolate cups. OH BOY! Until then, I'm excited that I can make these for Little Guy! 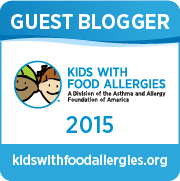 Also, one note if you're making these for kids with food allergies. Since these are "look-alike" candies, make sure you emphasize that these are DIFFERENT than Reese's Peanut Butter Cups. Just to make sure kids with food allergies realize they have to be careful if they eat something that looks like this. Thanks to Sunbutter for their amazing and easy recipe. I didn't have the exact ingredients in my kitchen, so I thought I'd share my version with you that worked out perfectly too. I mean, just take a look at this mouthwatering treat. It's so exciting making fun recipes for your family that are safe for EVERYONE to eat, you know? So how do you make this sweet nut free and dairy free treat? Slowly melt 1 cup of dairy and nut free chocolate chips in a double broiler. You can see I made my own using a glass bowl and small pan. 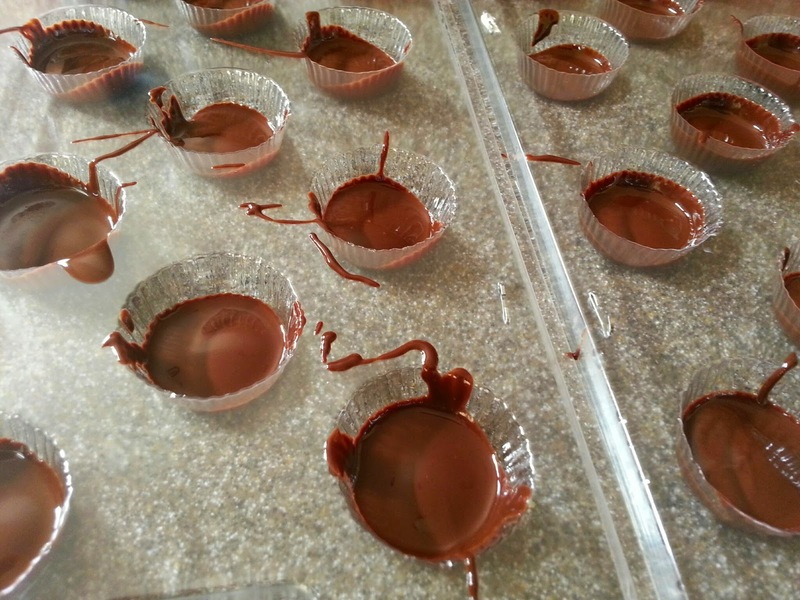 Pour about 1/4 - 1/2 tsp of melted chocolate in the bottom of your candy mold (depending on the size). Make sure it covers the bottom of your mold. 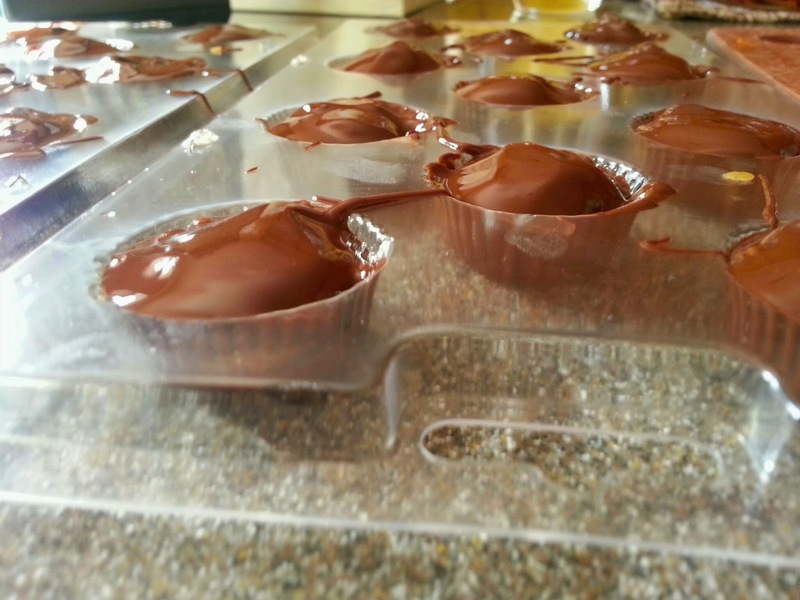 Put the mold in the freezer for 5 minutes and freeze the chocolate. While the chocolate is freezing, mix up the Sunbutter filling. You can see here that I tried it two ways. 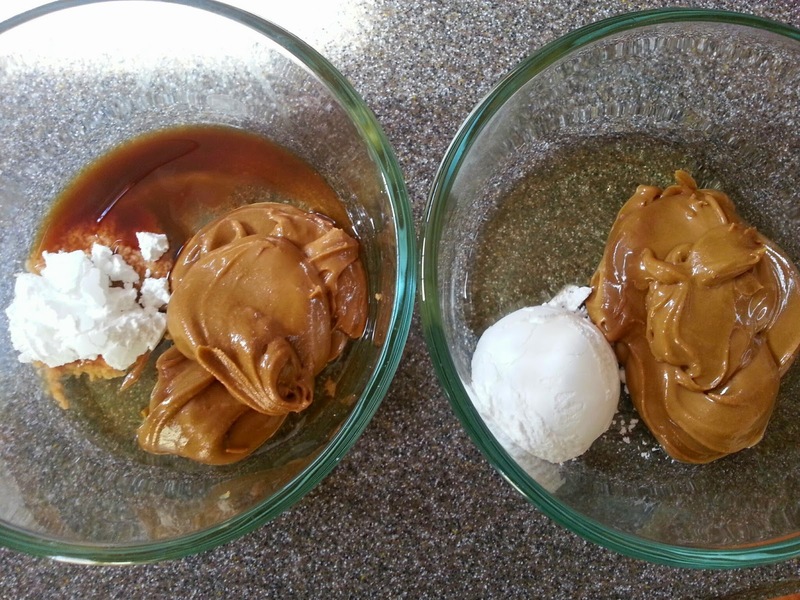 One with vanilla extract and one without. The vanilla extract makes the Sunbutter filling a little more moist when you're working with it. As for taste and texture when eating it, I didn't notice a difference with or without it! 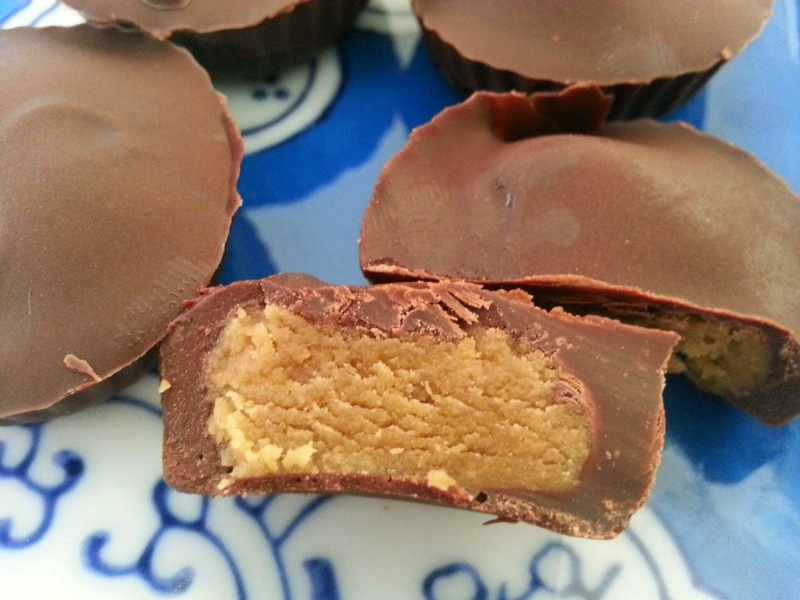 Roll the filling into small balls, about 1/2 tsp size, and press balls down slightly into frozen chocolate cups. Cover with rest of melted chocolate. Next time I may try to make them a little flatter on top, but this way turned out great too! 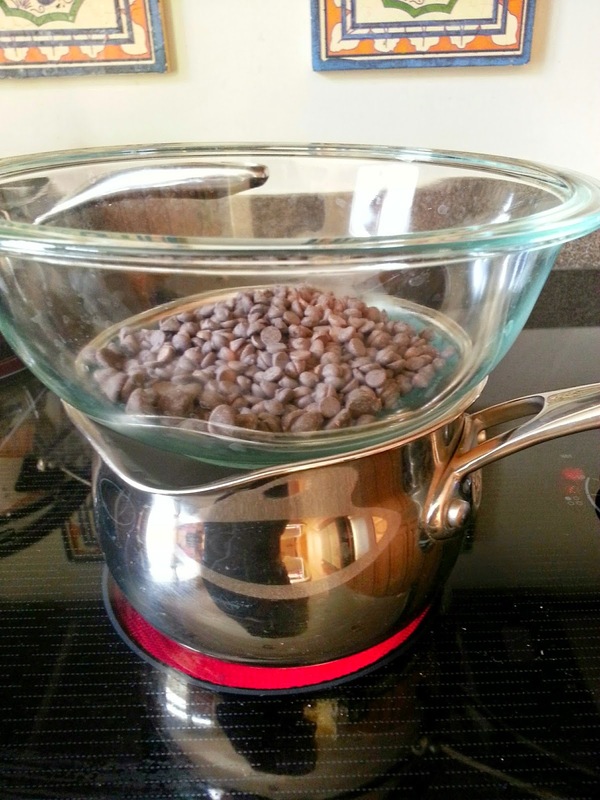 1 Tbsp Sunbutter (This helps thicken the chocolate. Other recipes suggest palm shortening as an option too). Melt your chocolate in a double broiler (I used a glass bowl on top of a sauce pan) on low heat. Stir until chocolate is melted. Pour about 1/4 - 1/2 tsp of melted chocolate in the bottom of your candy mold (depending on the size). Make sure it covers the bottom of your mold. Put the mold in the freezer for 5 minutes and freeze the chocolate. While chocolate is freezing, mix up the Sunbutter filling. 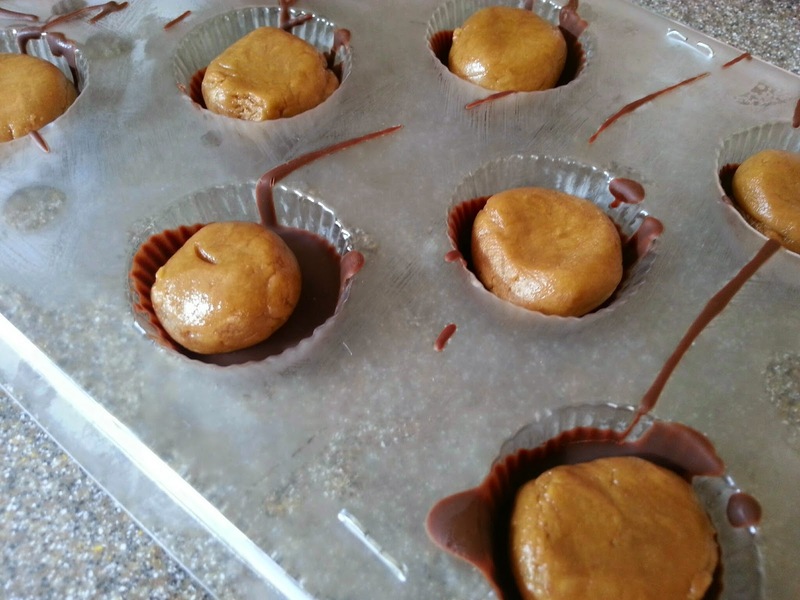 Roll the filling into small balls, about 1/2 tsp size, and press balls down slightly into frozen chocolate cups. 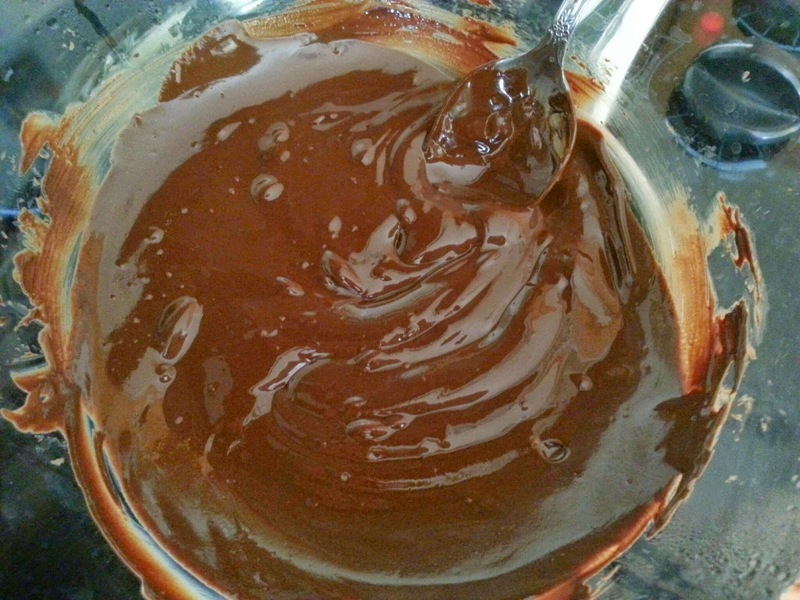 Cover with rest of melted chocolate. I used small candy molds. It would be fun to try others themed candy molds like this Small Pumpkin Chocolate Candy Mold or Small Heart Shape Silicon Candy Mold too! Store these in the freezer. This chocolate is not tempered (it will melt at room temperature) and eat them soon after you get them out of the freezer! Here are some of the basics you need to make this recipe! Choose your favorite chocolate (I used a mix of Enjoy Life mini chips and dark chocolate chips).